How do I get the Exchange URL to integrate the calendar, tasks & contacts? 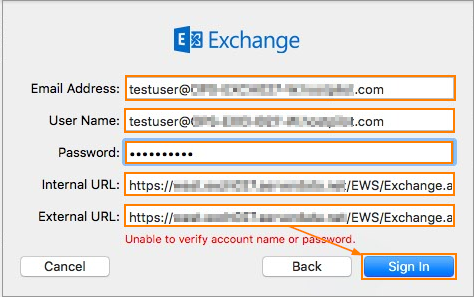 Use Exchange URL for Microsoft, GoDaddy or Intermedia instead of auto-discover. Bear in mind, PracticePanther only syncs with Exchange and Outlook 2010 and later. 1) Go to your "Settings" page. 2) Under "Integrations", go to "Calendar, Tasks & Contacts". 3) Turn Exchange "ON" and enter your credentials. If you are using hosting sites for your law firm you will need to get a different Exchange URL from your provider. If you host your site on GoDaddy, refer to the article below. Each GoDaddy account has a unique Exchange URL. For any further questions in regards to obtaining your unique Exchange URL from GoDaddy, contact GoDaddy Technical Support at (480) 505-8877). Users can find the server information in My Services, in the E-mail section click the link Configure Email. If you are using a service not listed above, please do not hesitate to reach out to our support staff. We are more than happy to help you find what you need! 1) While in any page in PracticePanther, click on the chat icon on the bottom right. 3) Start the conversation with Exchange URL article update, type in the hosting service you use that you would like to add to the article and hit the send icon.